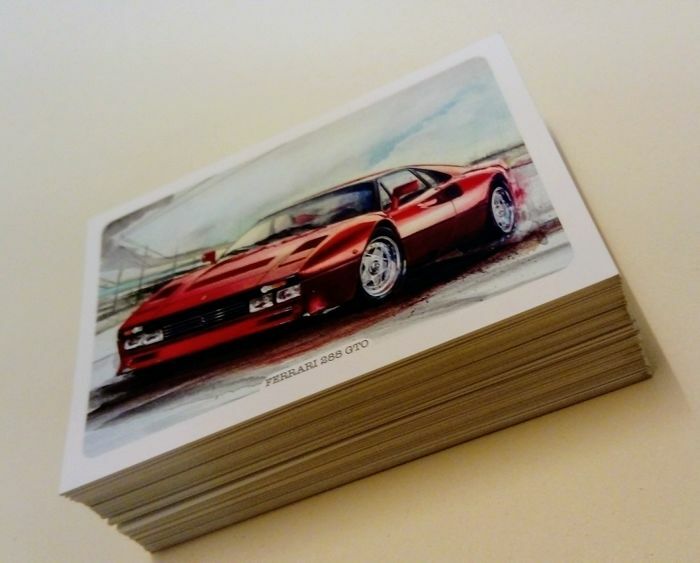 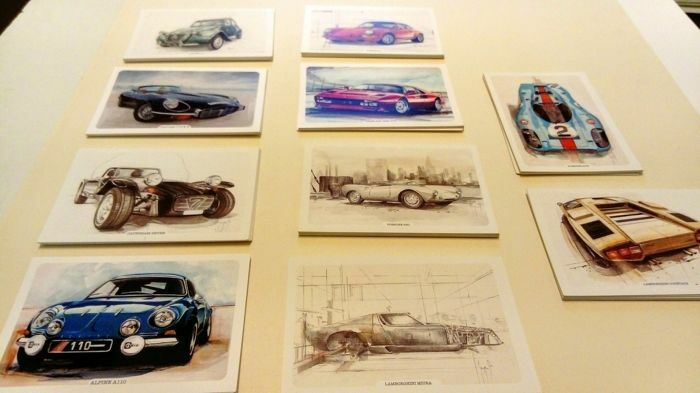 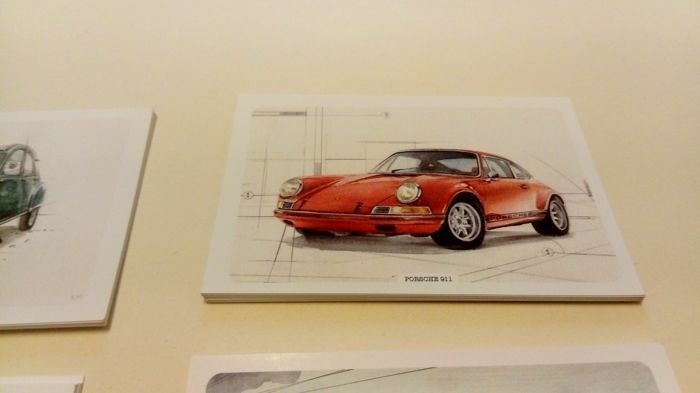 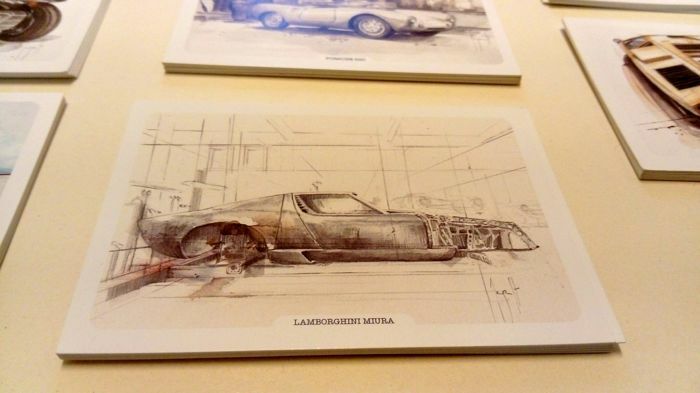 Lot of 100 postcards, 10 models: Ferrari 288 gto, Alpine A110, Lamborghini Miura, Lamborghini Countach, Porsche 917 K, Porsche 550, Caterham Seven, Jaguar E-Type, Citroën 2CV, Porsche 911. 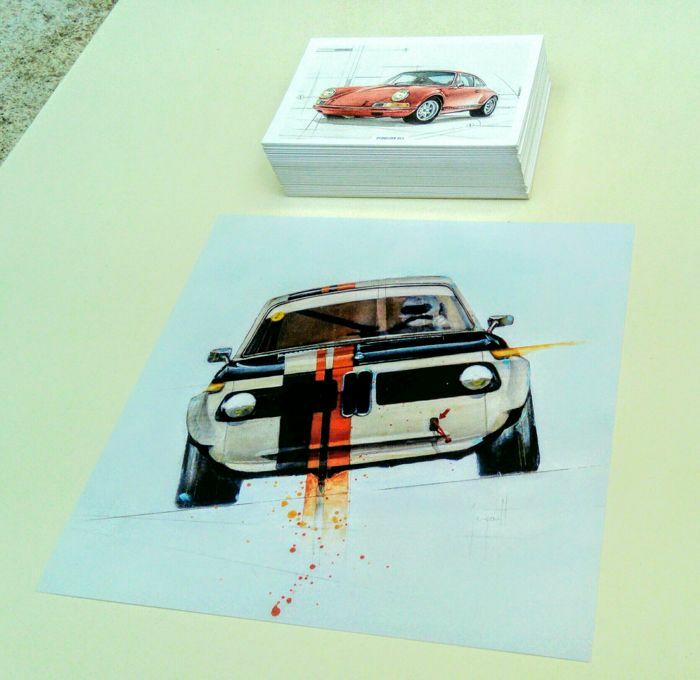 BMW 2002 digital print. 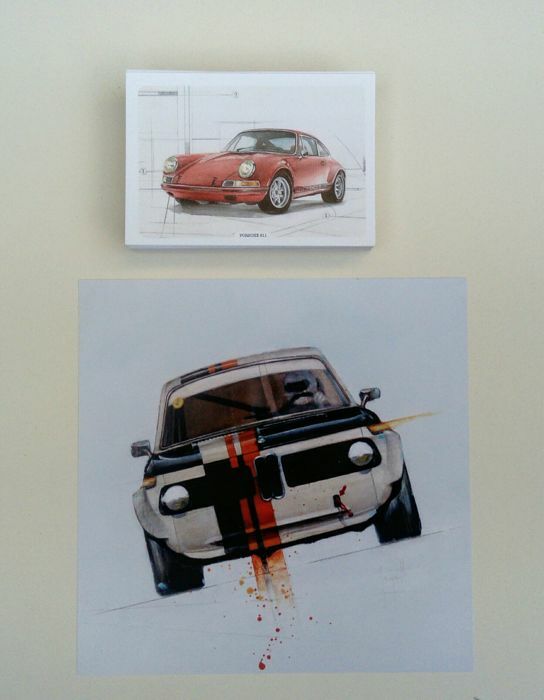 Illustrations by Emmanuel Mergault.